In his bestselling book, Emotional Intelligence, New York Times science reporter Daniel Goleman tells how the pioneering Russian neuropsychologist A. R. Luria first suggested in the 1930s that the prefrontal cortex was a key brain center for self-control and restraining emotional impulses. This is interesting news for educators, and for students preparing to take tests, since it confirms the age-old maxim that deliberately focusing attention tends to calm the pre-test jitters, while uncontrolled emotions are dangerous because they can interfere with concentration and good decision-making. 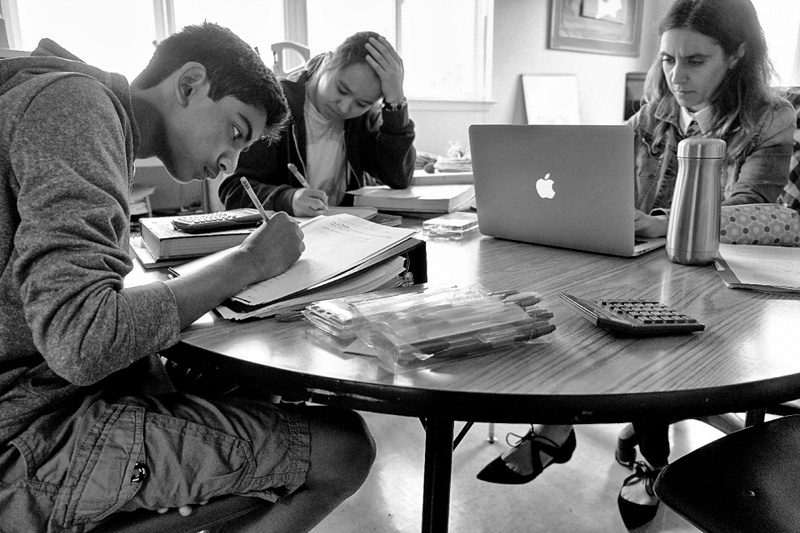 At Living Wisdom School, the students are taught simple meditation techniques that help them focus their energy and attention in the prefrontal cortex while studying, preparing for tests, and dealing with turbulent emotions. “We’ve known for a long time that some people are more easily distracted and that emotions can play a big part in this,” said Kevin S. LaBarr, assistant professor at Duke’s Center for Cognitive Neuroscience and an author of the study described above. “Our study shows that two streams of processing take place in the brain, with attentional tasks and emotions moving in parallel before finally coming together.” The two streams are integrated in a region of the brain called the anterior cingulate, located between the right and left halves of the brain’s frontal portion, which is involved in a wide range of thought processes and emotional responses. It’s easy to test this finding, by holding our attention with relaxation in the area of the anterior cingulate, just behind the point between the eyebrows, a practice that tends to soothe any troubling emotions we may be feeling, by helping us feel more calm, positive, focused, and in control of our emotions. Researchers now suspect that calm feeling (as distinct from raw emotions) and reason work hand in hand. Contrary to a longstanding prejudice of our western culture, which assumes that reason is the superior faculty, the researchers are finding that reason is deeply compromised unless it is balanced by the feelings of the heart. Neurologist Dr. Antonio Damasio studied patients with damage to the connection between their brain’s prefrontal cortex and amygdala—the two most important centers of reason and emotion in the brain. He found that when these patients lost their ability to feel, they made terrible decisions in their business and personal lives, and became incapable of making the simplest decisions, such as when to make an appointment, even though their reasoning powers were intact. “Dr. Damasio believes their decisions are so bad because they have lost access to their emotional learning…. Cut off from emotional memory in the amygdala, whatever the neocortex mulls over no longer triggers the emotional reactions that have been associated with it in the past—everything takes on a gray neutrality…. “Evidence like this leads Dr. Damasio to the counter-intuitive position that feelings are typically indispensable for rational decisions; they point us in the proper direction, where dry logic can then be of best use. Clearly, there are risks in trying to make decisions based on feeling alone. Our decisions may be subtly compromised by our personal desires and raw emotions—our hearts may not be sufficiently calm and detached to be trusted. Our feelings are more reliable when we check them against our reason, common sense, and experience. Are our heart’s feelings truly calm and dispassionate, or are we just telling ourselves what we want to hear? Cool, clear reason can help us decide. Our sense of the right decision will be more often correct when we hold ourselves in a state of “reasonable feeling.” It may help to imagine that our awareness is centered in an axis of energy between the forehead and the heart. 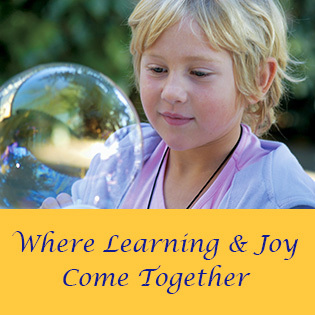 At Living Wisdom School, the students learn to consult their calm feelings while listening to the voice of calm reason. Learning to access and use these human tools gives them an advantage when it comes to mastering the academic curriculum. Researchers at the Institute of HeartMath have found that it’s surprisingly easy to prove that intuition exists, and that its accuracy increases when we deliberately calm and harmonize our feelings. in high school geometry and trigonometry. In a study of intuitive ability, the subjects were shown images of soothing subjects, interspersed randomly with emotionally disturbing images. Monitoring the subjects’ EEG (brain waves), ECG (electrocardiogram), and heart rate variability showed that they reacted emotionally to the images five to seven seconds before an image appeared. Confirming the folk wisdom that women are more intuitive than men, female subjects reacted with greater accuracy and sensitivity. Surely the message for students and educators is clear: expansive thoughts, actions, and feelings have been scientifically shown to boost brain efficiency and happiness. 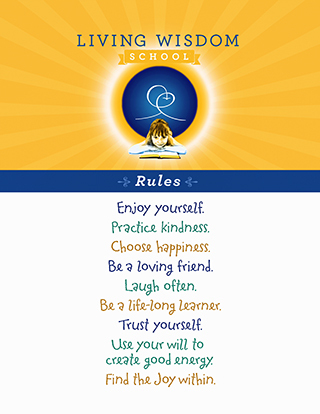 At Google, at Harvard, in ancient Indian ashrams, and in the classrooms at Living Wisdom School, happiness and success go hand in hand. Emotional Intelligence. (New York: Bantam Books, 1995) 314. Duke University press release, August 19, 2002. Daniel Goleman, Emotional Intelligence (New York: Bantam Books, 1997) 27–28. “The Sixth Sense—More and More, Science Supports It,” Gabriella Boehmer, Institute of HeartMath; the study referenced is: “Electrophysiological Evidence of Intuition: Part 1. The Surprising Role of the Heart,” McCraty, R., Atkinson, M., Bradley, R. T., Journal of Alternative and Complementary Medicine, Feb 2004, Vol. 10, No. 1: 133–43; “Electrophysiological Evidence of Intuition: Part 2. A System-Wide Process?” McCraty, R., Atkinson, M., Bradley, R. T., Journal of Alternative and Complementary Medicine, Apr 2004, Vol. 10, No. 2: 325–36.